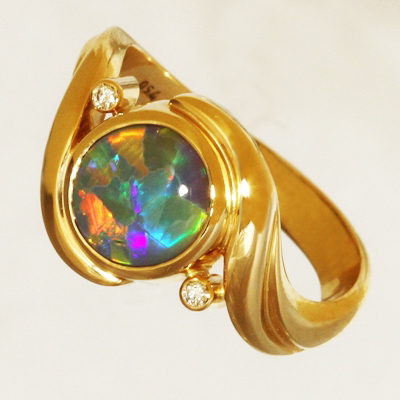 Hand Made 18k SOLID SEMI BLACK Opal Ring. 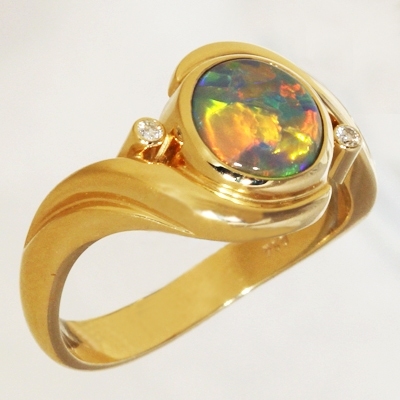 This lovely opal has orange, gold, green and purple is rolling flashes across the opal in large flagstones. 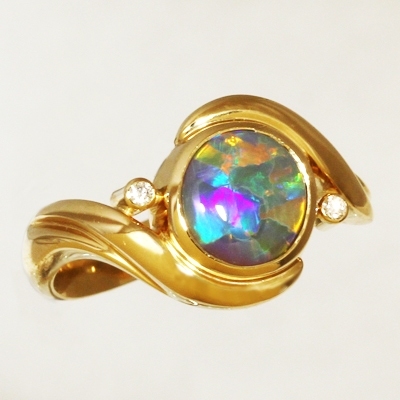 The orange and gold fire takes control of the show as the opal is turned. 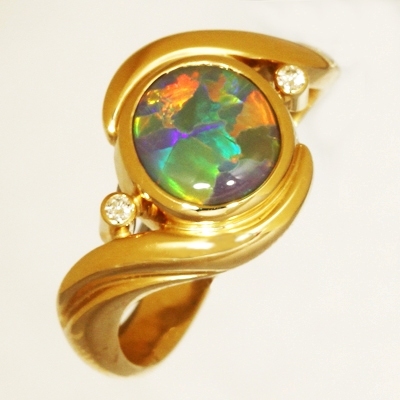 Amongst the golds are bright and vivid green shades, and a beautiful purple. The rolling flashes change from the orange through to purple. 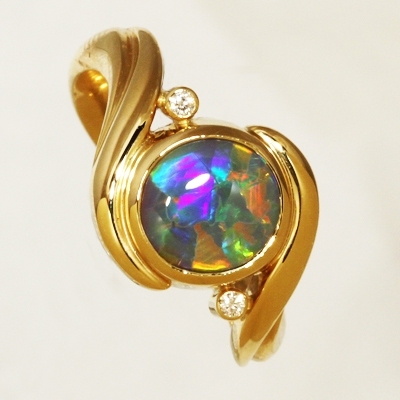 Performs just as well, if not better, in low lighting.